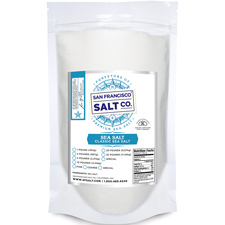 Pristine Pacific Sea Salt. 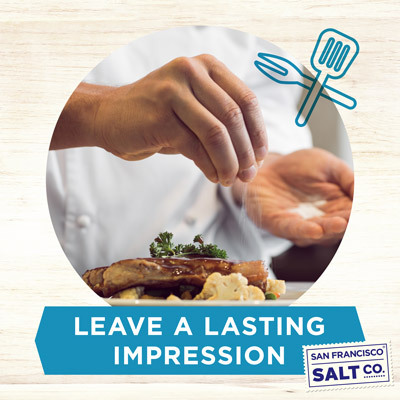 Our Pacific Ocean Gourmet Salts are made through the ancient and natural process of slowly evaporating Pacific Sea water to collect its salt. 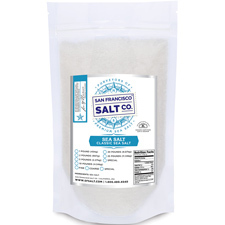 This all-natural sea salt is Kosher and contains no additives. 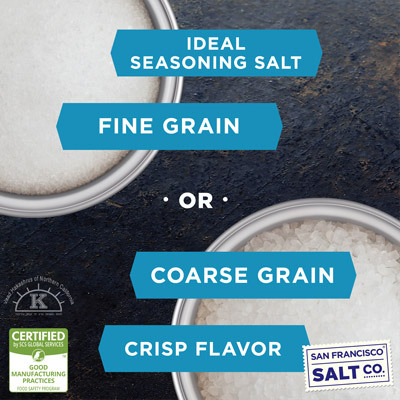 GRAIN SIZE - Fine & Coarse Grains.